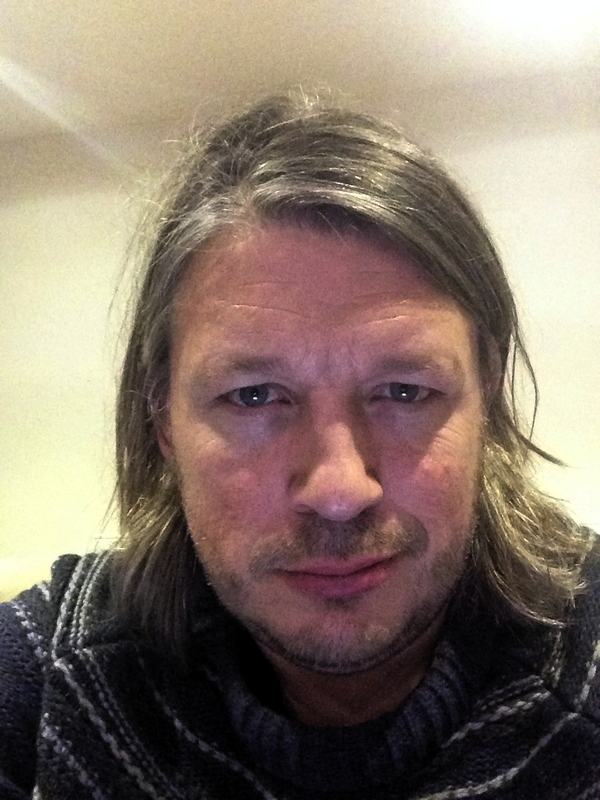 In my blog a couple of days ago, Richard Herring chatted to me about creating free content like blogs and podcasts as a way to generate paying punters for his live shows. 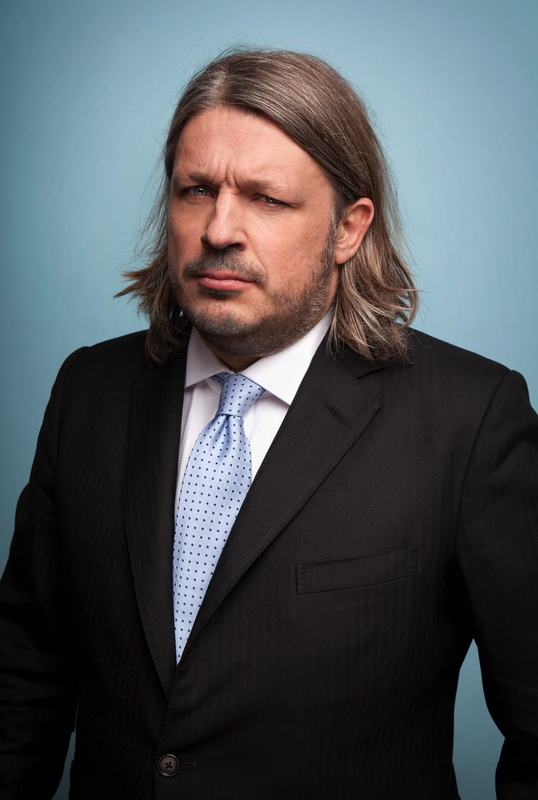 He has been podcasting since 2008 and his Leicester Square Theatre Podcasts – available on iTunes and on YouTube – continue but, this Sunday at the Leicester Square Theatre in London, he is also recording the second episode of his new online TV series Richard Herring’s Meaning of Life. “The Meaning of Life is another leap forward,” he told me over a fifth coffee at Bar Italia in Soho, “because it’s going to cost me money, which none of the other stuff has really done. “All the podcasts used up my time, but they’re basically free-to-do. I just recorded them on a computer or whatever. I spent a bit of money on equipment, but not very much. Then I just put them out and it’s fairly easy to do. 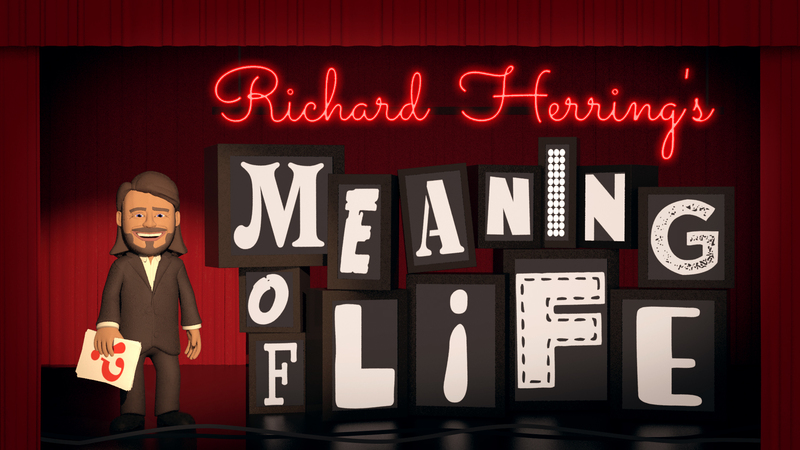 But, with The Meaning of Life, the idea was me thinking: I’d like to do my own 6-part stand-up show on TV, but nobody is particularly interested in giving me that opportunity – so why not do it myself? “We’re doing six shows and, including all the editing, the cameramen and so on – I’m not getting paid, but we’re paying everyone else – it’s going to cost me around £20,000 to film six of them. “There’s six monthly recordings and that’s a lot of work. I’m trying to write new stuff and not use any old material. I’m writing at least 30-45 minutes of new material each month. I’m trying to use no stuff from my previous stand-up shows but there’s a few things from the 1990s where I think: Well, there might be something in developing that idea. “We’re recording them every month but really we should have done them every two months. I under-estimated how much work would be involved. I have to write them properly and I go out and do a few gigs on the circuit to familiarise myself with the material. It’s mainly me doing stand-up, but we’ve got an animator who’s 3D animating a sketch with my voice and Christian Reilly is doing the theme music and there’s an interview in each show. “And I presume the material won’t date,” I said. The creation of the universe, the paranormal. Whatever next? “Oh definitely in Sacramento. But, even in the UK. If I walk round the middle of London for two hours, two people might recognise me. It’s nice in a way because it means I can carry on doing my job. I can sit in a coffee shop and work and look around and see what’s going on. No-one clocks me. If I were Ricky Gervais, all I would hear would be: Is that Ricky Gervais? “On the last series of the Leicester Square Theatre Podcast, a website was offering me around £5,000 to advertise during it. I decided it wasn’t really enough money to justify selling-out, but also they wanted me to do an advert in the middle of the podcast as well as at the start and the end and I felt it would break the flow and my audience would laugh in the face of it and then they wouldn’t pay me anyway. I also figured If they think they’re going to get £5,000 of business out of advertising on my podcast, then it is surely worth more than £5,000 as an advert for me. “I think one important thing about The Meaning of Life is showing what you can do if you’re prepared to put up some money. 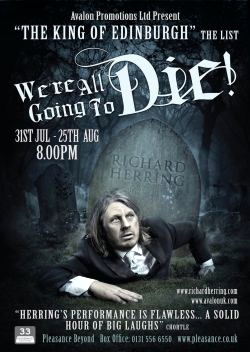 “People go to the Edinburgh Fringe and spend £10,000 and five people come and see them and they get one review. If you have got £10,000, why not make a very good one-hour video with some sketches in it instead? “If you can find three friends with three video cameras, you can do it. You can do whatever you want. You can put that on YouTube for free and potentially millions of people can see it and you can send that link to journalists and producers when they’re not being bogged-down in Edinburgh. “But the problem is production quality and covering costs?” I suggested. 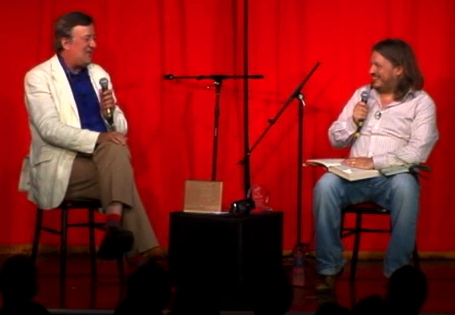 “Yes,” said Richard, “The thing about the Leicester Square Theatre Podcasts (which are videoed and put online at YouTube) where I interview a comedian for an hour-and-a-half or two hours is that you couldn’t do it on broadcast TV. No-one would let you do two hours of talking to one person on broadcast TV. “In the end, someone like Netflix might buy them: someone who doesn’t have to put it into a fixed schedule. Four of my stand-up shows are already on Netflix. “Within five years, I think most people will just have a TV and they’ll select what they want to watch from the BBC or YouTube or richardherring.com and they’ll watch it whenever they want. So we are all broadcasters now. It’s just finding a way to get some money back from that. “I’ve heard club comedians say Oh, I can never get on the Michael McIntyre Roadshow – which I can’t get on either – but now you can make your own TV show. You can go into any club with three cameras. It doesn’t matter what it looks like. No-one is watching stand-up saying: Ooh, it has to be swooping cameras on a big stage. If the material’s good, you can put it up online and that will cost you let’s say £500 to pay the cameramen and edit it together. It can be done. There’s no excuse any more for not doing it. “People used to say Well, I WOULD write a novel if anyone would publish it. You can publish it yourself now. You can upload it as an eBook. You can get it out there. It’s exactly the same with all of these things. So it really is Richard Herring’s Comedy Vehicle. Very encouraging. So how will we be able to see it? What is the distribution mechanism and the revenue mechanism?